Karen Gasparyan was born in village Shaumiani, Marneuli municipality. After the graduation of Public School №1 he became a student of Ilia State University at the Faculty of Computer Engineering. Karen is 20 years old and, at the same time, he works at Georgian Public Broadcasting in an Armenian group, as the news reporter. Karen connects his own success with the knowledge of Georgian language. She studied at the university's preparatory course within the framework of the Georgian State Program. Karen thinks that learning Georgian language is much more important for the young generation if they want to be successful. He regrets that the Georgian language can not be taught at school level good enough that the school student are able to continue studying at the university without the preparatory course after graduation. 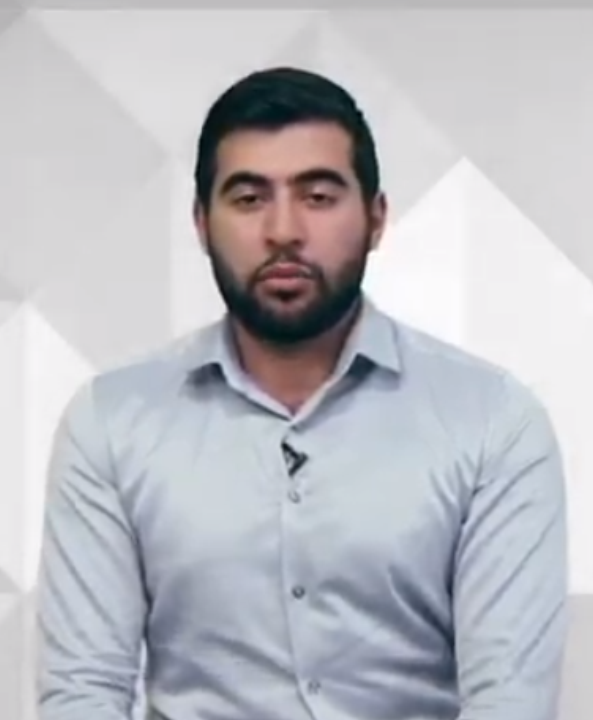 However, in recent years, the quality of Georgian language has increased at schools, and for instance, he underlines, that nowadays, the 5th grader students speak in Georgian as well as he could speak Georgian when he was in the 12th grade. He thinks that this improvement is due to the arrival of Georgian teachers in Shaumiani schools who teach their students fluent Georgian Language. Another reason (of the changes) is the teaching of Georgian language in kindergartens and he thinks that in every nursery school should be taught Georgian language, and as a result of it, school students will face less difficulties of studying the state language. Karen believes, that, unlike the parents' generation, the younger generation is much more motivated by studying the Georgian language. In previous years, if the school students were planning to continue their studies in Yerevan, nowadays many students continue their studying in Tbilisi. "Two years ago, ten more ethnic Armenians enrolled with me at Ilia State University, and this year it has grown up to 50" says Karen. Increasing Interest among the ethnic Armenian students getting education in Georgian universities was conditioned by the state-developed programs and he believes that these programs should be maintained. "If there were not 1 + 4 program, probably I would be in Yerevan today, but this program gives an opportunity to learn Georgian, to continue study and get higher education." In order to make ethnic Armenian children better learn Georgian language, having close contact with Georgian-speaking peers is essential. It is also important that Georgian and Ossetian internally displaced Persons (IDPs) settled in Shaumian in 2008. "Initially, Armenian children had some difficulties in communication and mostly they used the language of gestures. Today this threshold has been overcome, and, nowadays, the kids play together and there is no problem in communication." That's why Karen believes that the state should more intensively promote the involvement of Georgian and Armenian children in common projects and programs. For example, summer camps should be often arranged where not only children of ethnic minorities but also Georgians students will be the participants as well. Karen considers, that another problem of Georgian language learning is school textbooks. In his opinion, the Armenian text is often misunderstood, which makes it difficult to study the subject. "It is understandable that the state can not afford to translate all the books into Armenian, so the way out is to study Georgian Language from an early age" - says Karen. As for Karen's future plans, he thinks that after finishing his studies, he will continue his activities in Tbilisi. He must succeed as an example for the village and the younger generation. His purpose is to show that if you want, you can become a successful person in Georgia.